KANSAS CITY, Mo. 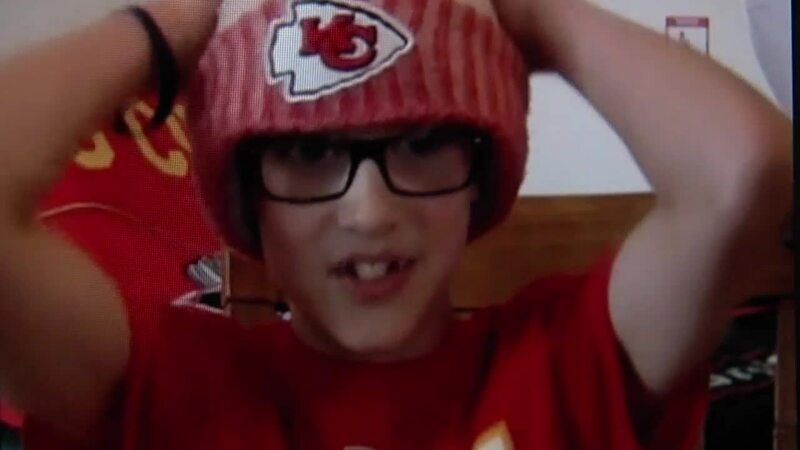 — A 10-year-old boy from Minnesota was brought to tears this week after receiving a trip from his parents to Travis Kelce’s football camp in the metro. Despite growing up around Vikings fans, Zach Matt has been a loyal member of Chiefs Kingdom and has the trading cards, shirts and other souvenirs to prove it. The 10-year-old boy found out that dream will come true during a moment captured in a video by his mother this week. Matt is seen crying upon hearing the news he will be attending Kelce’s football camp this year with his two brothers. His love of the team revolves around one player: tight end Travis Kelce. Matt sported a #87 Chiefs shirt during the conversation, the same number worn by his hero. As a fan of Kelce, Matt has always dreamed about meeting him one day. The video has since been seen over 35,000 times on Twitter, including by Kelce himself. "It’s gonna be an exciting day fellas!!! Can’t wait to meet you boys!! Let’s go get some work and have some fun! !” Kelce posted on Twitter. The Matt family will make the trip down from Minnesota this Friday. The camp will be held on Saturday at the Heritage Park Football Complex in Olathe and will be open for boys and girls in grades 2-8.